Especially these days, with an unpredictable President in the White House and a volatile international situation, the possibilities are explosive. From Korea to Crimea, the war clouds are gathering  and Antiwar.com is here to give you the facts that the mainstream media ignores. They "curate" the facts to fit an agenda that always coincides with the War Party's aims. What a coincidence! We've been fact-checking the warmongers since 1995  but we can't do it without your support. In uncertain times you can depend on Antiwar.com to be there for you  but that means you have to be there for us. because you never know what tomorrow may bring. Do High-Level Leaks Suggest a Conspiracy? Mueller Appointed 'Chief Prosecutor' – 'Russiagate' Crisis Over... Or Just Beginning? 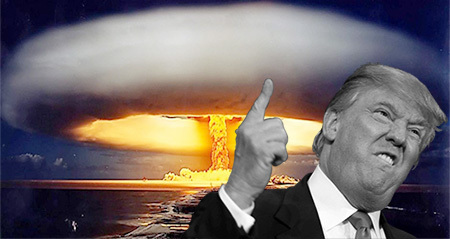 Trump Shares Classified Material With Russia – Duck and Cover! Would You Have Chelsea Manning's Courage When Called?